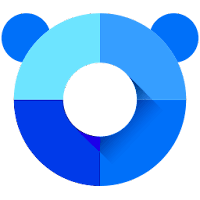 Panda Free Antivirus/Panda Dome (formerly Panda Cloud Antivirus) is a cloud-based antivirus that provides essential protection against spyware, phishing (online fraud), rootkits and banker Trojans. It's based on Collective Intelligence, a system that continuously collects and analyzes viruses and other threats gathered from the community of millions of Panda users around the world. With Panda Security's Collective Intelligence, Panda Antivirus detects more malware than traditional signature-based solutions which take longer to detect the most recent, and therefore most dangerous, variants. anti-theft protection (My Devices area) from their products. Fully compatibles with the new Windows 10 Anniversary Update. Engine improvements for better protection and performance. Other improvements requested by Panda Community (f.e: language selection in the product). Disclaimer: Direct downloads for the lastest version of Panda Free Antivirus (Panda Dome) 18.0.3 are provided by the official software's author, we can't guarantee safety, availability or download speed. Moreover, we don't and we won't provide any pirated/illegal versions or tools. We recommend you to avoid it as these methods can harm your device. If you like the software, buy it to support the developers. (We provide software discounts for many worldwide brands).